Science and Innovation Minister Malcolm Wicks today announced the appointment of Professor David Delpy, UCL Vice Provost for Research, as Chief Executive and Deputy Chair of the Engineering and Physical Sciences Research Council (EPSRC). EPSRC funds the highest quality research and related postgraduate training in engineering and the physical sciences. In this financial year it is receiving £721 million from the Science Budget. Professor Delpy commented: "I am delighted to be given the chance to lead the EPSRC. The contribution that engineering and physical sciences make both to society in general and to the UK economy in particular is increasingly important. The EPSRC plays a vital role in ensuring that we remain internationally leading in research and economically competitive and I look forward to working with my colleagues to ensure that the UK's position is not just maintained but continues to improve." In his role as UCL Vice Provost for Research, Professor Delpy is responsible for leading on UCL's research strategy, maintaining a watching brief for sciences at UCL. He planned for the higher education funding bodies' 2008 Research Assessment Exercise (RAE) and, as chair of the Research Strategy Committee, he also chaired the Committee's working group on full economic costing. 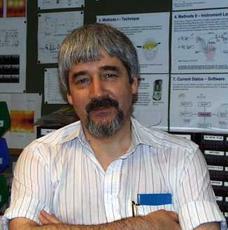 Professor Delpy's research interests lie in the field of physiological monitoring, and especially in the development of techniques for the non-invasive monitoring of tissue oxygenation and metabolism. UCL President and Provost, Professor Malcolm Grant commented: "This is an extremely important appointment for British science and the government have indeed been fortunate in being able to attract Dave Delpy to the post. He has made a tremendous contribution to UCL. It is noteworthy that his predecessor as CEO, John O'Reilly, was also drawn from UCL, which is testament to the strength of the science and technology base here."